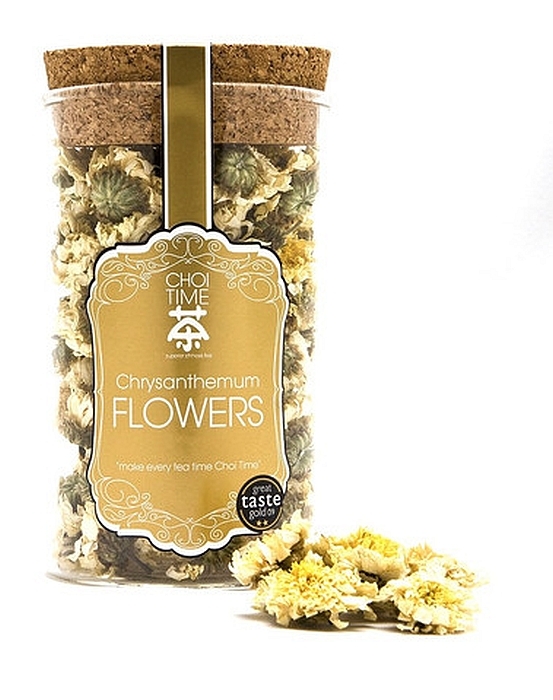 As with all of our teas, Choi Time's chrysanthemum flower tea is award winning and delicious at the same time. This tea is refreshing, with a natural sweetness and is reminiscent of Chamomile tea due to the fact that both flowers hail from the same family, and thanks to its extremely low caffeine content can be drunk at any time. There are many health benefits associated with chrysanthemum tea, not least of which is its aid in the recovery from influenza. Known for its cooling properties, this tea decreases body heat making it ideal for those with a fever. In addition to being drunk to fight off a fever, this tea is used as a compress to treat circulatory disorders such as varicose veins and atherosclerosis. 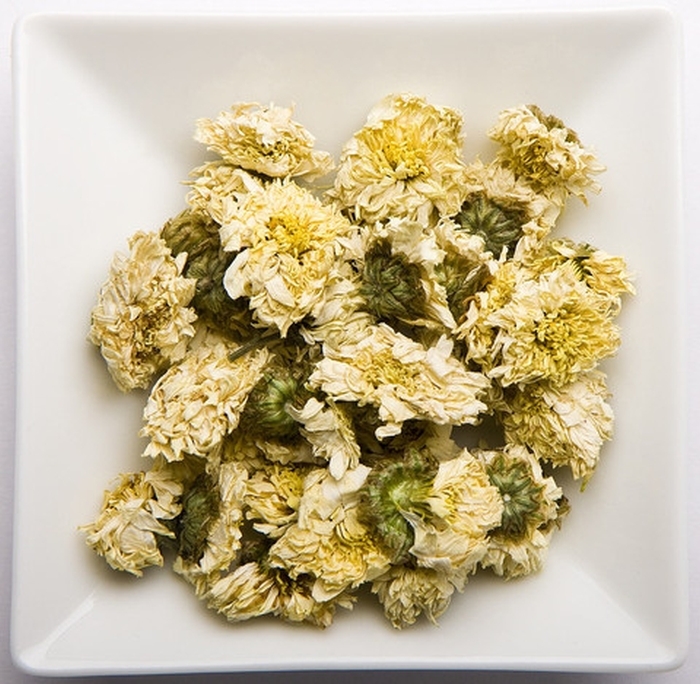 Chrysanthemum tea is also excellent for detoxifying the blood and helps fight high blood pressure and sinus congestion (perfect for hay fever sufferers!). As if those health benefits weren't enough, it calms the nerves, and has been said to sharpen thought, vision and hearing. To make the perfect cup, allow boiling water to cool a little (the recommended temperature is between 190F and 195F) and pour it into a cup and drop in 2-5 flowers. To sweeten the chrysanthemum flower tea, add a little rock sugar, and to preserve the ritual as it is in China, float dried chrysanthemum flowers in the cup itself. 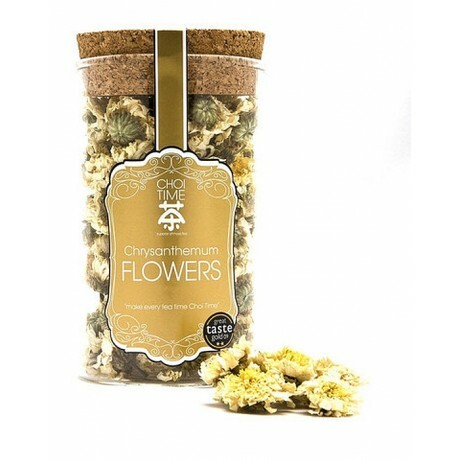 This amount of chrysanthemum flower tea will make 3-5 cups of tea; simply top with hot water.